Knee pain is a common problem that can interfere with your ability to enjoy recreational activities or even perform everyday actions. Traditional medicine has a number of treatments for knee pain, but these may involve the use of painkillers, steroid medications or surgery. Chiropractic offers a drug-free, non-invasive method for dealing with painful conditions. Your Omaha chiropractor can employ a number of chiropractic techniques that will help to relieve your knee pain and improve normal knee function. Knee pain is often the result of an injury, such as those that occur during athletic activities. In fact, some sports are particularly prone to causing knee injuries. Accidental slips and falls are another common cause of knee injuries. The initiating event could be as simple as slipping on the ice in winter or having a misstep on a staircase. Knee pain can also result from structural problems within the body itself, such as problems with the positioning of the kneecap. Obesity can put excessive pressure on the knee joint, resulting in chronic discomfort in the knees. Osteoarthritis due to aging can also contribute to chronic knee pain. Pain may be caused by a previous injury, overuse of the joint during activities, as well as from lack of regular exercise that helps to keep supporting muscles strong. If you have any of these risk factors, you may have developed knee pain that has an impact on your ability to engage in normal activities and can prevent your optimum performance in athletics. Knees do a specific job of bending in a certain way for normal activities. However, they are finely integrated into the entire musculoskeletal system and can develop problems when the spine becomes misaligned. This problem produces increased pressure on the knees, which continues until the underlying structural issue is resolved. Your Omaha chiropractors can provide manual adjustment of the spine, corrective exercises, acupuncture, and laser therapy to knee pain relief and improve range-of-motion. Dr. Wagner, Dr. Owen-Wagner and Dr. Evansbrings years of experience to providing chiropractic care for their patients in Omaha and surrounding communities. They can design an individualized care program to provide relief from pain and improved mobility. 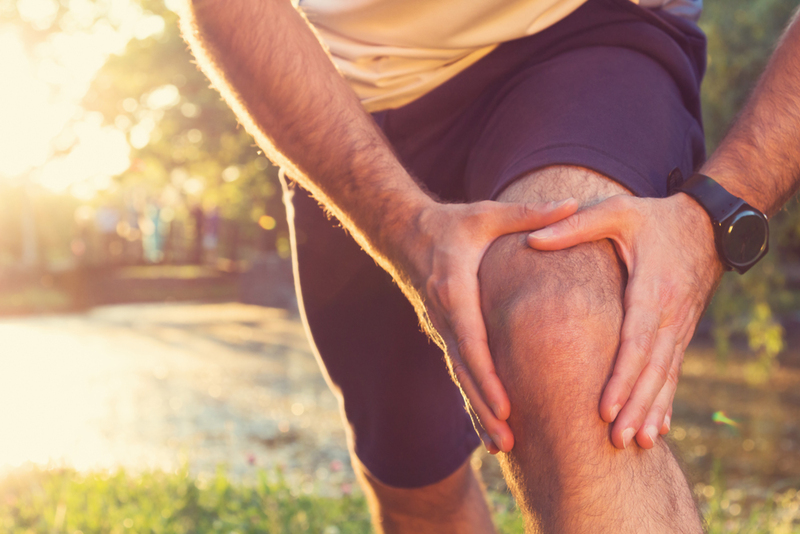 Contact West Omaha Chiropractic & Sports Injury Clinic today at (402) 334-4700 for an appointment to learn about options for treatment of your knee pain problem.